You are currently browsing the MSBLOG weblog archives for June, 2006. 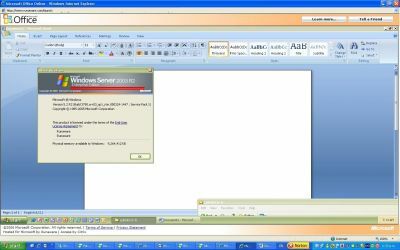 Microsoft have released aÂ structured, introductory approach to the basic concepts and principles of the Transmission Control Protocol/Internet Protocol (TCP/IP) protocol suite, how the most important protocols function, and their basic configuration in the MicrosoftÂ® Windows ServerÂ® 2003 and WindowsÂ® XP operating systems. This book is primarily a discussion of concepts and principles to lay a conceptual foundation for the TCP/IP protocol suite and provides an integrated discussion of both Internet Protocol version 4 (IPv4) and Internet Protocol version 6 (IPv6). This 545 Page .pdf booklet has everything you will ever need to know about IPv4 and the new IPv6 Protocols. Internet Explorer 7 Beta 3 is released!! Microsoft just released IE7 Beta 3 for Windows XP SP2, Windows Server 2003, Windows XP x64 and Windows Server 2003 Itanium today silently. I do not expect much changes between Beta 2 and Beta 3, but I’m sure the well known bugs will be resolved in this Beta 3. In the meantime, do keep checking out the release notes at http://msdn.microsoft.com/ie/releasenotes/default.aspxÂ (haven’t updated to Beta 2 at news writing time). Well, I have been approved to download and try the Windows Live Mail Desktop, the build I downloaded is v8.0.0774.Â I installed and try to login by using my Windows Live ID and I got a lot of error, including cannot migrate my OE6 folders/files to WLMD, and also cannot find my Microsoft Live ID, and also cannot synchronize my folders/files from Windows Live(same as Hotmail). And the outlook of WLMD is cool, much like Office Outlook, and also I can access Newsgroup from WLMD. However, I found out that I cannot adjust the width of the right panel. And I found it out that it is the area for Advertisement. 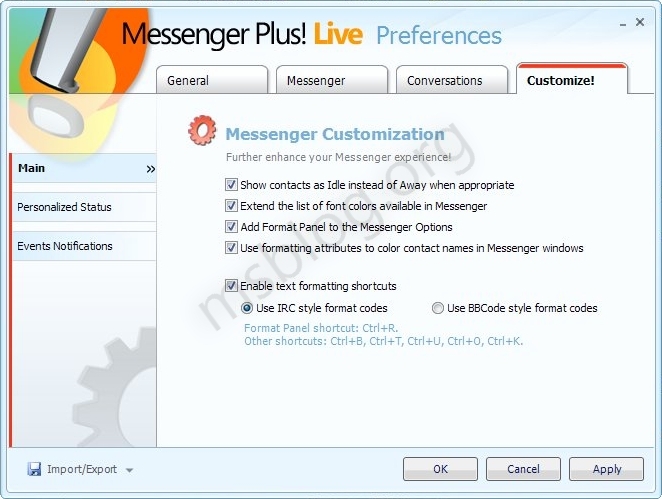 If you are a paid user in Hotmail or later the Windows Live, then you have choose to disable the Advertisement panel. As it is still in Beta, so error sometimes come up. I tried it out-its pretty good…esp to diagnose pesky network errors. Microsoft have just launched a new site allowing users to use Office 2007 (office 12) in a real life sandbox environment. Every thing is pre-installed, you just have to try/test out the next version of office for Windows’s. I was very surprised by the speed and stability of the remote system despite the hundreds of people pummelling it trying to get a taste of Office 07 (which explains the waiting queue before load). 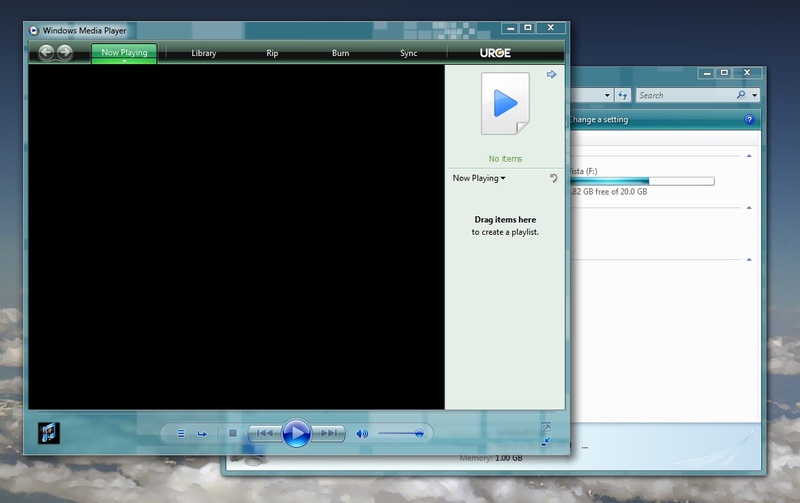 The setup requires the user to download the citrix plug-in that allows you to remotely connect to the server through your browser window. However thatâ€™s all well and good but what OS is it running on? Windows Server 2003 R2 of course (with the Luna theme enabled I might add) Boy its good to see it running in a “hardcoreâ€ environment like this-what cant R2 do? Visit www.projectglidepath.net to participate in the Microsoft MicroISV Evangelism program that delivers an in-Visual-Studio experience providing the workflow-based guidance, sample code and technology to create applications for Windows Vista. Project Glidepath delivers workflow-based guidance, code, templates and other content via a software factory, a Visual Studio add-in, consisting of tools for building a product which is a member of a product family. Project Glidepath’s product family is defined as “applications for Windows Vista including applications that use .Net Framework 3.0 technology on down-level operating systems”. Applications built with Project Glidepath focus on making their core application logic reusable so that the user experience can be delivered on many platforms (desktop, mobile, web). 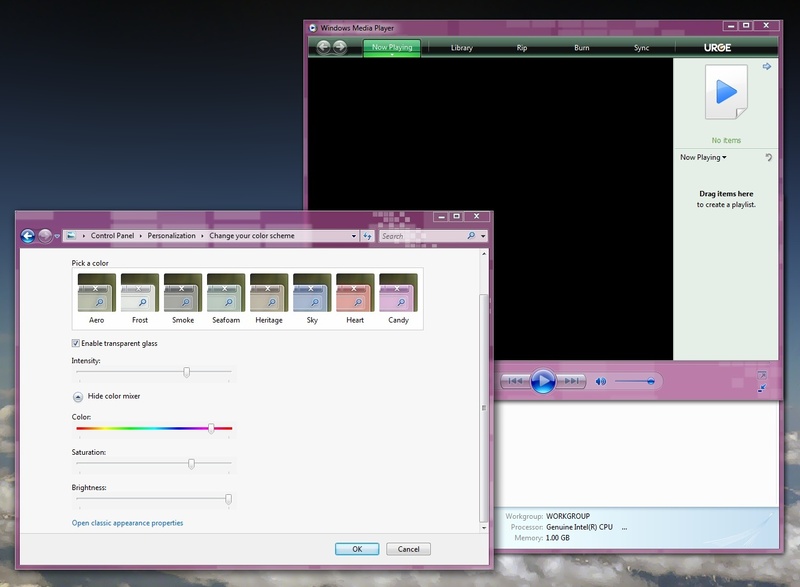 Back in the days of the Windows XP beta (codename “Whistler”), the first theme available before the Luna theme came out (the standard blue theme) was the Watercolour theme. This wasn’t around for long, but Bryant has come up with a great idea – a mix between Watercolour in “Whistler” and Aero in Vista. He’s done it, and still working on it, but the results are spectacular. Watercolour Reloaded won’t be available to use yet as it’s still in development, but from the looks and the speed it runs at, I think it’s an amazing theme – if not the first custom made Aero enhancement for Windows Vista! Check out the screenshots below – simply click to open them up in a new window. 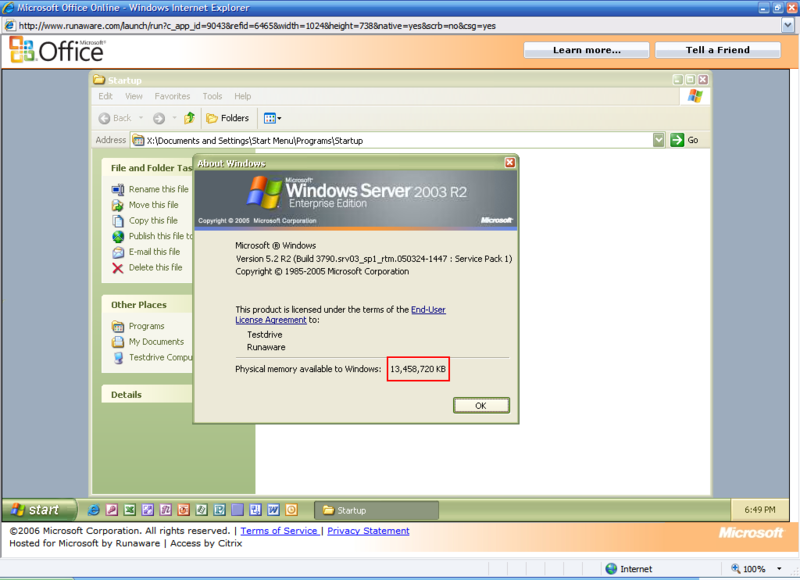 Business Desktop Deployment 2007 Training Guide Released! 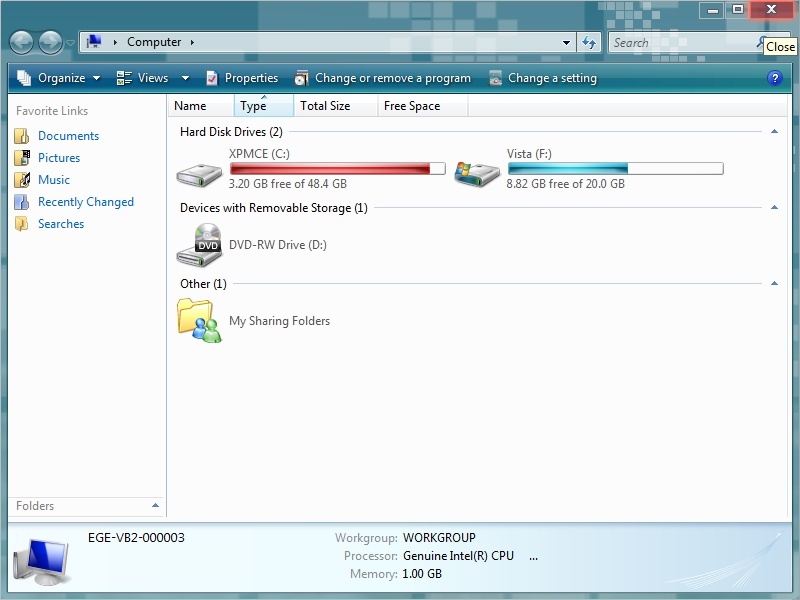 You can download and use it to migrate users, deployÂ Windows Vista, Office and other applications. It will avaliableÂ on Microsoft Hong Kong Community Site andÂ My Technical Blog too. OK covering a bit of old news now (it’s been a crazy day…) but yesterday, Microsoft released the latest build of Windows Vista (x86 and x64) to testers. It currently contains the versions, Ultimate, Home Basic, Home Premium and Business, and obviously the actual version install depends on which key you enter in on the Setup screens. You can still use the same key that you used for build 5342 and above without a problem, so you shouldn’t need to generate new keys. Not sure if MSDN subscribers will get this – it’s doubtful as it’s only another interim release. Microsoft Connect users,Â go and download now! 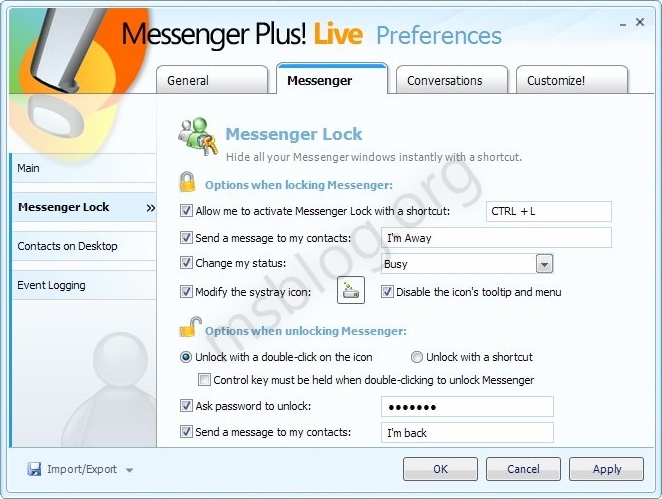 MSN Messenger for a long time has been expanded and enhanced by Messenger Plus! for some time now, a good few years. 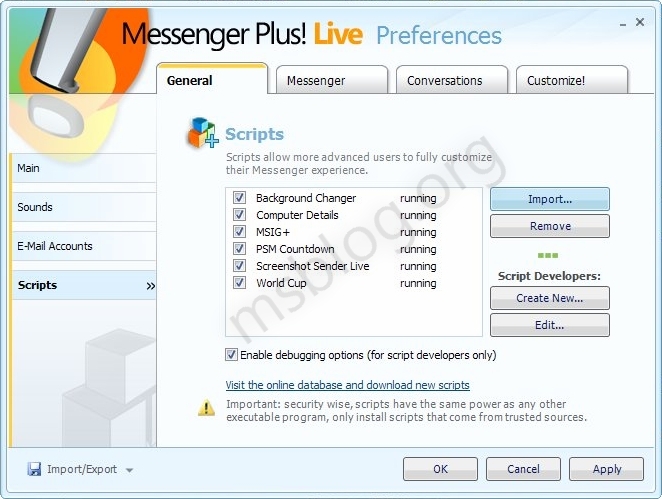 Now, seeing as MSN Messenger has died and gone to rest in an urn on Leah’s shelf for the rest of eternity,Â Windows Live Messenger has blossomed out of the beta cupboard kick starting the Windows Live wave of products, and as usual Messenger Plus! Live is never far behind. But now it’s here! 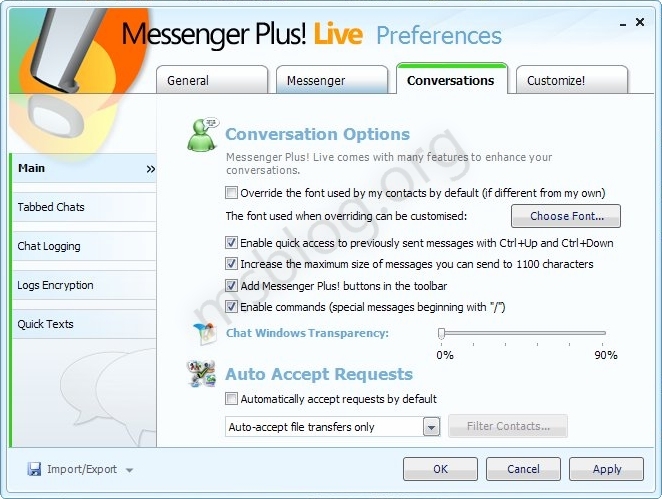 That’s right, the world’s most used Messenger add-in has finally arrived and is back on the scene. It’s got a much cleaner, newer interface and has a whole load of new features that are even said to be in the next version of Messenger itself. So, what are you waiting for? It’s 4.25mb in size, and already the download servers are being pushed, but check it out anyway! In fact, how many people want to get it? 😛 Any suggestions?